In the previous blog post, we've made a collection of Best Premium Magento Themes of 2016. Today, we will introduce you the best Prestashop themes of 2016. 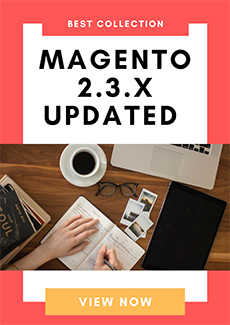 These themes come with super attractive appearances as well as many eCommerce features that will enable you to create powerful online store websites. Enjoy our collection of the best premium Prestashop themes 2016 and grab your suitable one! Suitable for: any eCommerce Prestashop store from hi-tech store, digital store, mobile shop to fashion/clothing shop. Matrix is professional eCommerce Prestashop theme that is packed with 06 exquisite homepage designs. The sophisticated theme is built with a huge number of cool features: Responsive layout, RTL language, powerful Mega Menu, flexible Boxed layout, dynamic Ajax Attributes Filter, advanced List and Grid products view, convenient Product Quick view and Product Image Zoom, Bootstrap 3, Font Awesome 4, CSS3, HTML5 and many other features. Suitable for: hitech store, fashion stores, clothing store, apparel and mega shop. Shoppy Store - Responsive Prestashop Theme with a clean and modern look. Built in great color combination (Cyan, Red, Green, Orange and Blue), Shoppy Store inevitably gets your customer attention to buy products from your website. 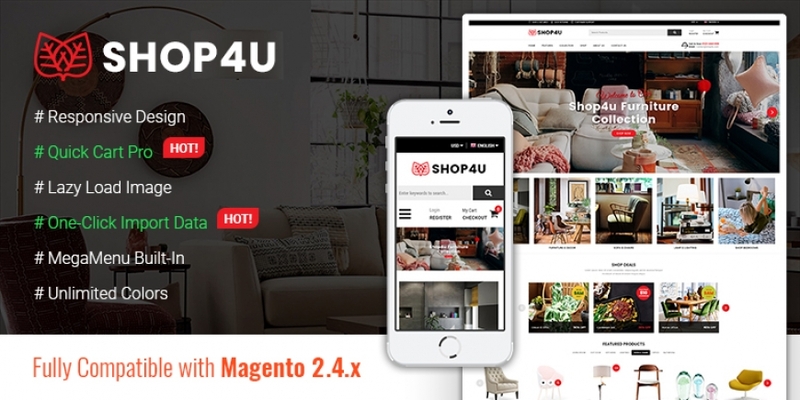 ShoppyStore comes with 6 homepage variations that allow you to make a unique eCommerce website. Clickboom is professional eCommerce Prestashop theme built with 5 homepage designs and unlimited color options. It is fully responsive Prestashop theme made with latest Prestashop version, using Bootstrap3, CSS3 and HTML5. The elegant and clean theme comes with lots of advanced features: Mega Menu, Quickview, RTL Language, Prestashop Addons (save $200), Google Font Support 600+, etc. Furnicom is a modern responsive Prestashop theme, which can help you to create a professional eCommerce store with ease. This responsive theme featured with 05 homepage layouts, unlimited color styles, 12 premium add-ons. Moreover, it is highly flexible theme comes with ultimate eCommerce features and easy-to-use Backend Panel that lets you configure and customize your store according to your needs. Paradise is a beautiful eCommerce Prestashop theme coming with 5 homepage layouts, 7 color schemes, creative design and ultimate core features to build an outstanding flower shop. Paradise supports an intuitive control panel that includes lots of useful options to manage your site. In addition, The beautiful theme supports lots of powerful features: Home Slider, Mega Menu, Ajax Layered Navigation, Ajax Cart helps customers purchase more quickly, multi-language, multi-currency, brands slider and product hover effects. Hurama is a modern, clean and professional multipurpose eCommerce Prestashop theme that provides an great solution for any online shop. 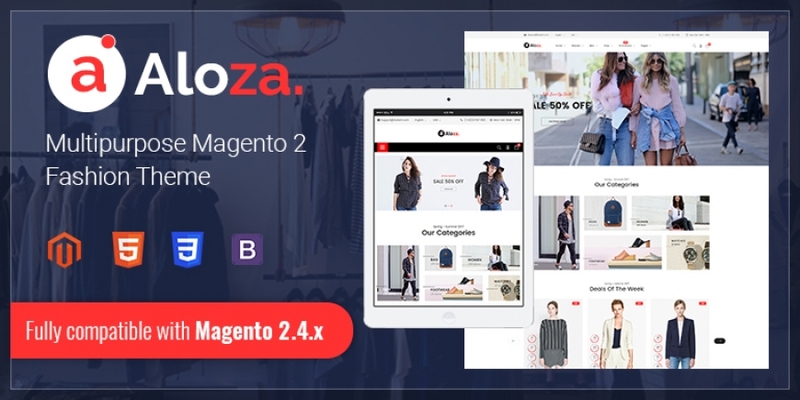 This eCommmerce Prestashop theme brings all the elements needed to create a variety of online stores: Mega Menu, Product Quickview, RTL language, Ajax Attributes Filter, advanced List and Grid products view and Product Image Zoom. Furthermore, this wonderful theme is integrated with many feature-rich addons and a huge variation. You are free to control this theme in order to make your store more friendly and adorable for your customers. The responsive Prestashop theme is powered by lots of advanced features: Mega Menu, Quickview, RTL Language, Prestashop Addons (save $200), Google Font Support 600+, etc. Let’s explore the amazing design and features of Paco! Suitable for: online fashion store, accessories store, jewelry store. Styleshop is a premium Prestashop theme that is an ideal solution for any fashion website. It works well for creating a better navigation and neatly organized content structure. With clean and well-structured design, 3 homepage layouts, this beautiful theme will make your site brighter, more attractive and help to boost your sale. Suitable for: digital/hi-tech products, sport & fitness equipment, medical equipment or mega stores. HiMarket is a clean, modern and fully responsive eCommerce Prestashop theme with an good-looking design. This eCommerce theme comes with 5 awesome homepage layouts and unlimited color styles that bring users a great opportunity to experience multi-design in a theme. Furthermore, HiMarket supports lots of advanced features that effectively enhance your online stores. Stationery has everything you need to office supplies store. 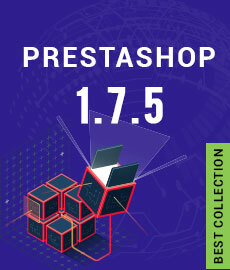 The Responsive Prestashop theme crafted for products related to office store or any other products. Furthermore, with 5 homepage layouts and a bundle of new powerful features: daily deals, quick view, mega menu, wishlist, product comparison, RTL language, boxed layout... that adapt to all your requirements. Maxshop is a modern and clean coded multipurpose Prestashop theme that is built with Mega Menu, Boxed layout, Ajax Attributes Filter, List and Grid products view and a dozen of advanced features that make it easy to use and customize. Besides, Maxshop supports 5 distinguish homepage layouts and 5 color variations for user choosing. Suitable for: sports store, sporty equipment store, sports accessories, sportswear. FCstore, a responsive Prestashop theme built with Bootstrap 3 and exquisite design certainly serves as a real high-power seller. Fcstore comes with 5 beautiful homepage layouts and 5 color styles. It is not only an elegant theme, but also is a powerful theme with cool features which help you to build an eCommerce website without touching any single code line. Suitable for: online fashion stores, clothing store, apparel, accessories stores. Topshop is a premium eCommerce Prestashop theme that is created with luxurious and trending design style. Based on latest web technology, Topshop is really clear, easy to customize. The eCommerce theme will surely meet all the requirements of shop owner by offering 06 homepage layouts and many advanced features. If you liked this article and found it helpful, so please subscribe to our blog for more Prestashop recommendations and tutorials.